Most homes today are overstuffed, and yours is probably no exception. We tend to buy new things without getting rid of what they’re supposed to replace. Other times, we simply get new things, just because. And then, we accumulate family memorabilia that we just can’t part with. Outdoor sheds solve our need for extra room. But how do I know which shed is right for me, you might ask? 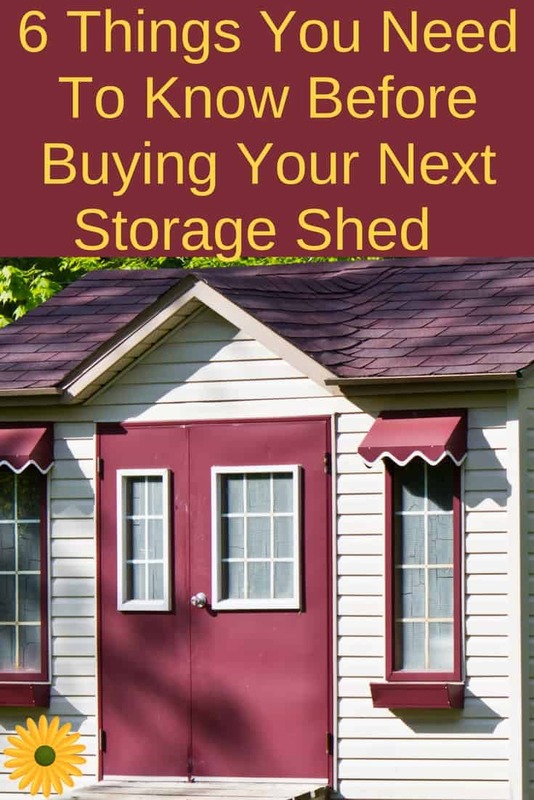 Here’s a storage shed buying guide to help you decide. Don’t let buying a shed overwhelm you. Follow this process to select your shed: these buying tips will make it easier than you thought. 1. Check permission requirements. If you’re renting, you’d have to run the idea by your landlord. 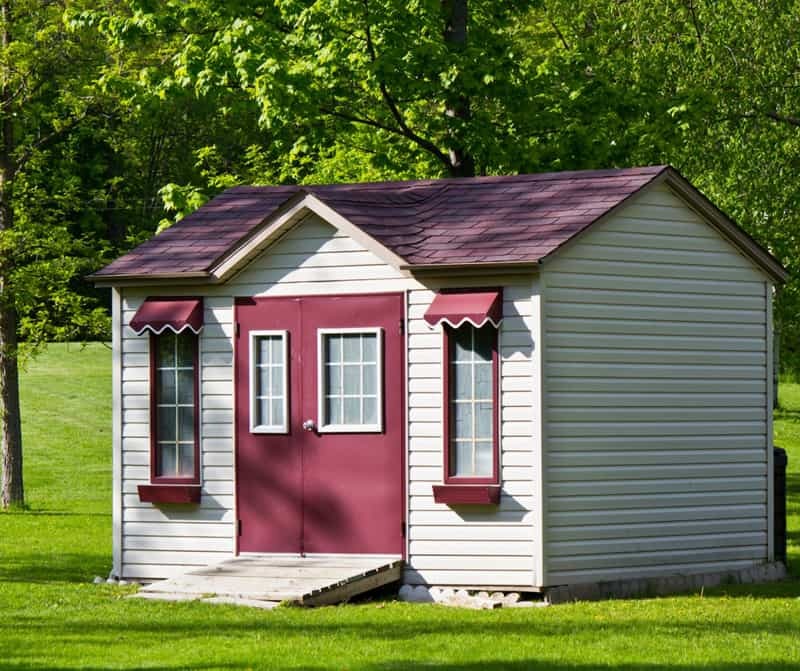 If you own your place, check if you have existing zoning rules relating to a storage shed. this could include stopping by your homeowner’s association’s office and see if there are rules about sheds you are not aware of. Before you go hunting for the best storage shed, you want to be sure no one’s going to knock on your door with an order to take it down later. 2. Choose a shed that matches your home. Choosing a shed that blends in with your home and garden is smart. You don’t want to Victorian looking storage shed if you live in a neighborhood of contemporary-designed homes. It will just be out of place and uncomfortable. 3. Choose functionality versus aesthetics. Outdoor sheds are primarily utility structures. If you want it to be cute, too, that’s fine. Just make sure it’s stable and roomy enough to hold your gardening tools and your stuff in. 4. Research prices. Before going to your neighborhood’s home improvement shop, do your research and get a feel for the price range of the shed you’re interested in. A bit of Googling can show you the current prices before your emotions become involved at the store. Prices for outdoor sheds can vary: starting at a couple hundred dollars, all the way up to several thousands. 5. Choose shed type wisely. Aluminum sheds are never pretty by themselves. However, they’re the most durable. Coating reduces corrosion and adds to its longevity while making it look a bit prettier. Outdoor sheds made from wood are definitely attractive choices and you’ll find plenty in the market. They are, however, prone to fire and require a lot of maintenance to avoid molds. Vinyl is often a practical choice for many as it needs little attention except for a power wash once in a while. It lasts a long time, too. 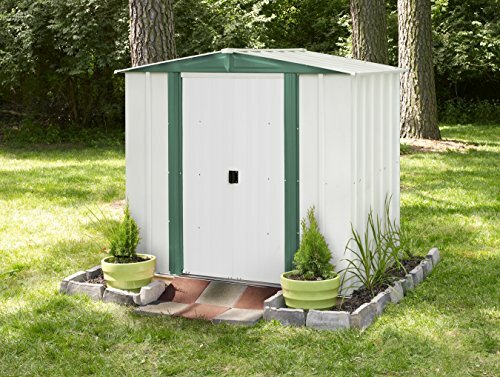 Rubbermaid storage sheds are one of the bet gardener shes. 6. Know your size. How much space do you have in the yard for your shed? Before going shopping, know your size range. You don’t want to bring home something that does not fit. Taking it back to the store is an unnecessary hassle you could certainly avoid. Outdoor sheds help a great deal in getting your home organized. Think outside the box when you pick yours. They can also keep your firewood safe. Besides storage, you can skillfully use your shed to add life to a garden or create an alternative play area for your kids with it. Let your creative side work on other, alternative storage shed uses. Here are 7 ways to use your storage shed for more than just storage. You have several choices of where to buy a storage shed for your backyard. You could go to a local specialty store, a hardware/construction store like Home Depot or Lowe’s, or you can buy your shed online. 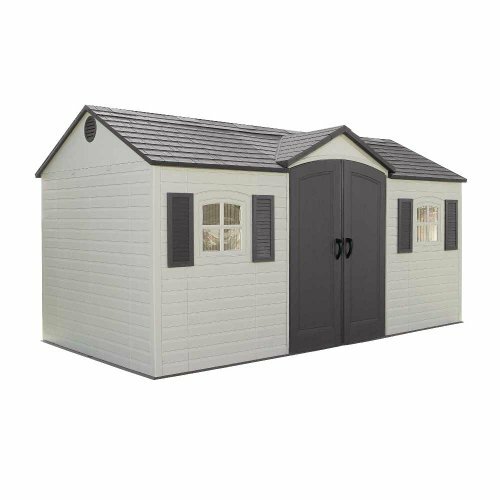 One of the more popular online stores selling storage sheds is Wayfair. 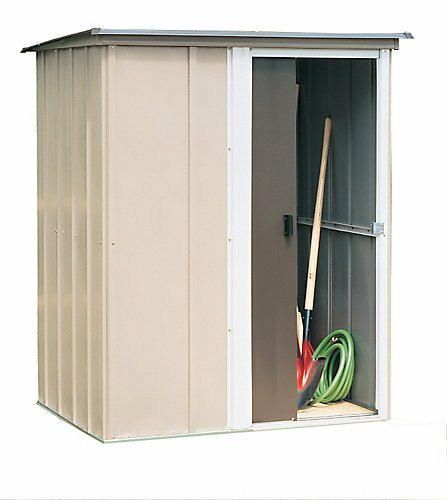 You can also buy sheds from Amazon: they have all sizes and from many manufacturers.